Ever since the first honey bees arrived with settlers in North America, beekeepers have been trying to breed a bee that can thrive outside its native range. 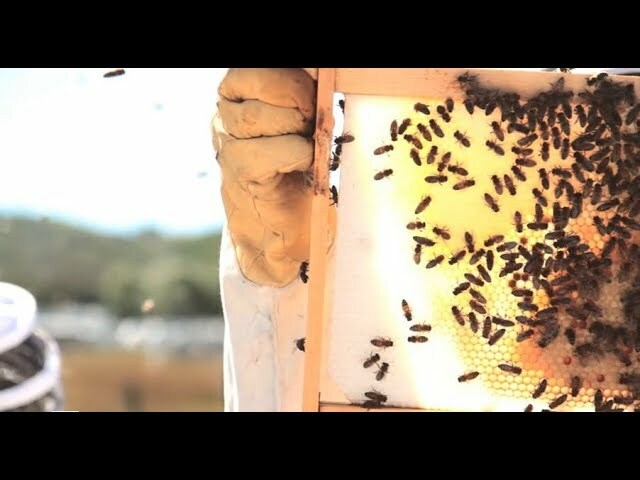 With each new challenge honey bees face, from pests and pathogens to colony collapse disorder, breeders and beekeepers look to their strongest colonies and try to replicate their resiliency. Though people have kept bees for millennia, significant advancements in beekeeping have only occurred in the past 300 years. Before this time, beekeepers had a limited understanding of the bee’s lifecycle and reproduction and did not have the technology to harvest honey without destroying the colony. Because colonies and queens were not kept from season to season, selective breeding was not possible. With the advancement of hive technology, particularly moveable frames, beekeepers could maintain colonies year after year, and were able to start selecting for certain traits, like production and docile temperaments. In the 20th century, commercial beekeeping took off and the practice of artificial insemination sparked the growth of the queen breeding industry. Queen breeding differs from the more widely-practiced queen-rearing in that it selects for specific qualities to create new breeds of bees, while the later focuses solely on propagation of preferred queens. Breeders no-longer needed to rely on the often unpredictable open-mating and could, instead, select for very specific qualities from known parents. One of the results of this work are hygienic bees, bred to improve resistance to Varroa mite infestations. Breeding can be a tricky under-taking though. Selecting for certain traits may inadvertently reduce other desirable qualities or increase undesirable ones. A queen or colony breeder may choose to continually select for hygienic behavior and over time may find he has colonies that spend more time cleaning than they do foraging or caring for brood. Some research also suggests that the bees created out of this kind of focused breeding may have contributed to declines in honey bee resiliency. Genetic diversity is a key factor in colony fitness. Studies have shown that colonies with queens who had mated with fewer than 8 drones were nearly three times more likely to die in a season. Ideally, a queen would be mating with 20-30 drones. ABC Bees spoke with Susan Corbey, researcher and bee breeder in the United States, who explained that the US has experienced a number of genetic bottle necks over the years, from importation bans to disease and pathogens, and the consolidation of queen production, which has resulted in a limited genetic pool to pull from. Susan’s work looks to genetic diversity to start to build a more resilient honey bee breeding population. To do this she is going back to the honey bee’s roots. Susan has been sourcing germplasm (sperm) from a variety of different honey bee subspecies all over their native Europe. Using this genetic material, she hopes to breed more diverse and successful colonies that can act as a base point. From here, it will be possible to start fine tuning for certain traits. Unfortunately, hobby and even commercial beekeepers will have to wait before they can get their hands on these new and improved bees. This type of approach, with a goal to diversify the genetics of north American bees, is incredibly complex and labour intensive; requiring long term collaboration between industry and research institutions. The desire for local queens and colonies is not new. 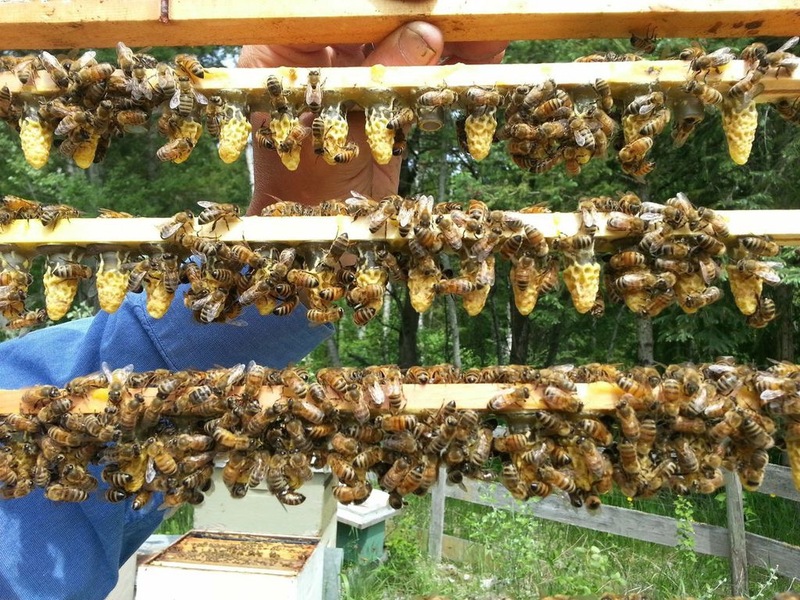 Those wishing to avoid chemical treatments in hives and frustrated with the variable access and expense of replacing colonies have grown more interested in micro-breeder programs for locally proven stock. Unfortunately, the breeders of local stock often lack the resources to execute rigorously selection and controlled mating, leading to inconsistent results. Help for smaller breeders is on the way though! Canadian researchers have also been working hard on the question of honey bee resiliency; focusing on putting tools into the hands of bee breeders from the hobbyist to the largest commercial operations. Members of the Foster Lab (BC) and Zayed Lab (Ontario) have joined forces with Genome Canada and the National Bee Diagnostic Centre (in Beaverlodge, AB) on a research project that is looking to map genetic markers for 12 honey bee traits. This technology allows researchers to predict colony behaviour and health by looking at specific mutations in the genome, at the protein and genetic level, to identify the strongest bees for breeding. Along with identifying markers, the researchers are contributing to the development of a facility that will be able to assess bee genetics. The result will be a facility that beekeepers can send their bees to for analysis to understand which traits are strongest and if the colony they came from may be suitable for breeding better stock. Dr. Shelley Hoover, with the Foster Lab and located here in Alberta, explained that the goal of the facility is to offer breeders (of any size) an opportunity to pre-screen colonies for certain traits, reducing a lot of the time and guess-work that goes into breeding programs. A focused evaluation like this could help to make breeding programs more efficient, paving the way for local producers and breeders and reducing beekeepers’ reliance on imported queens and colonies.